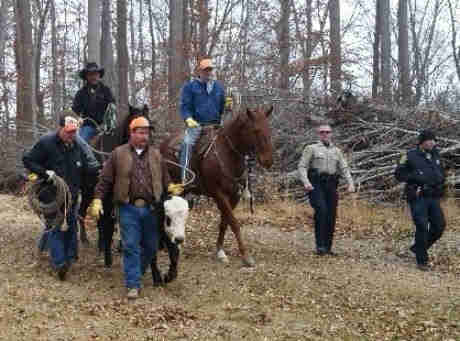 He wouldn't let anyone find him — until a kind woman hired some cowboys to track him down and save him. 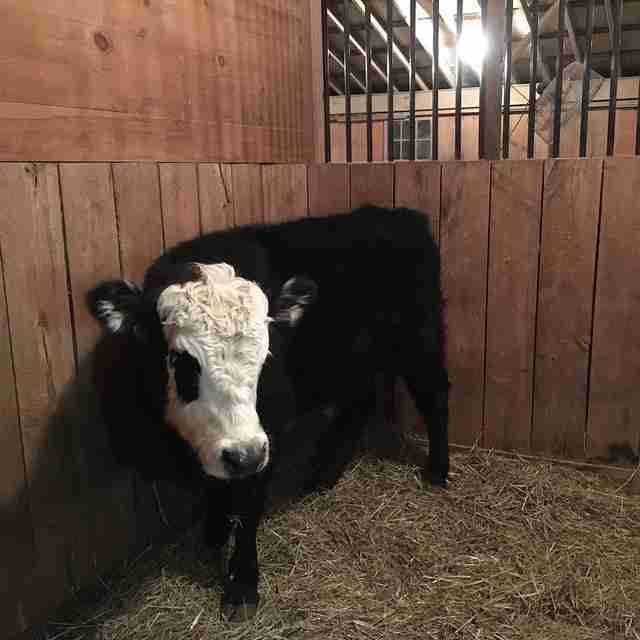 A transport truck carrying cattle was traveling along Interstate 64 in Virginia, heading to a livestock auction, when the truck's back gate broke — and this little misfortune spelled a major twist of fate for a young bull now known as Wallace. Footage captured right after the incident shows Wallace and a friend loose on the highway after falling off the trailer, seemingly disoriented and unsure about what to do with their sudden freedom. The two friends eventually jumped the guardrail and headed off into the snow-speckled forest. By the time a state trooper arrived, the cows were nowhere to be seen. But the local police remained curious about what happened to the animals. Two weeks later, on New Year's Eve, after a few reported spottings of random bulls in that stretch of woods, Sgt. Damon Radcliffe from the York County Sheriff's Office acquired some bales of hay and decided to try to find them. Even though Radcliffe spent days and covered several miles trying to find the bull, whom he called Ferdinand (after the story of the gentle bull), the animal was still at large. 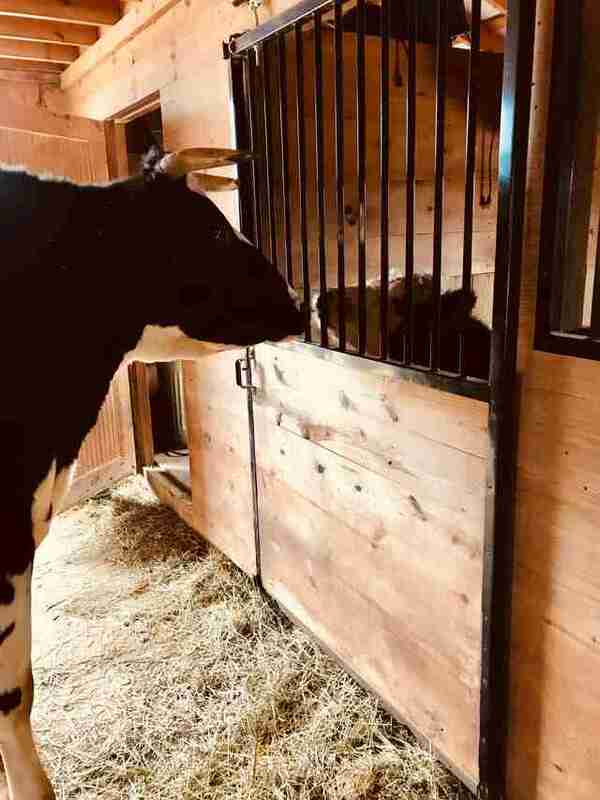 Finally, a local animal rescuer, Victoria Nation, who recently started an animal sanctuary in the area, Grateful Meadows, had an idea about who could help: a local cowboy. Haislip was able to locate the bull and managed to catch him swiftly. While the bull's accomplice was nowhere to be seen, Ferdinand was tranquilized and then lassoed so he couldn't escape when he woke up. But while he was led out of the literal woods, he wasn't out of the figurative woods just yet — he still belonged to the owner who had shipped him to auction to be sold. "After a lengthy and frustrating legal battle, we officially became Ferdinand's guardians on January 18," Nation wrote. "As Sgt. Radcliffe stated, 'Ferdinand's pretty much guaranteed to not be a hamburger now.'" Ferdinand arrived at the sanctuary and was given a lot of love, as well as apples. But things still weren't quite right for him. Being such a new sanctuary, Grateful Meadows only has a pig — no other bovines. And cows are very social creatures. Ferdinand had already spent enough time alone in the woods after his miraculous escape. Nation wanted to give him the home he deserved, complete with friends. That's when she decided to contact Poplar Spring Animal Sanctuary in Poolesville, Maryland. "He's a young, healthy, sweet calf who deserves to be with other cows and have acres to roam," Nation said. "His story had a rough start, but we promised him we would do everything we could to insure his freedom. A lonely calf on an acre is not freedom." Luckily, Terry Cummings, director of Poplar Spring, agreed to welcome Ferdinand with open arms — but Ferdinand would have to change his name. "We already have a goat named Ferdinand!" Cummings told The Dodo. "We changed his name from Ferdinand to Wallace." 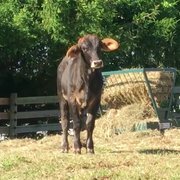 Now the bull formerly known as Ferdinand is settling into his new home, where he'll be able to live his whole life among other rescued animals. Wallace has recently been neutered, and so is currently recovering by himself in his own stall. But even now, he's starting to make friends. "Nellie the cow came to his barn and found him," Cummings said. "They touched noses ... it was sweet." That Poplar Spring doesn't skimp on the cookies is also quite sweet. 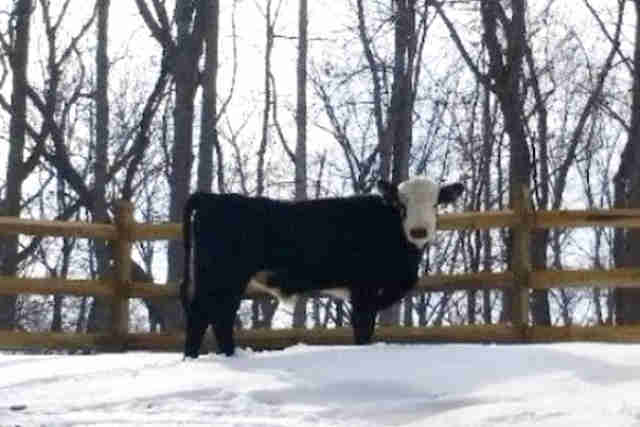 To thank the rescuers for helping this bull find the home he deserved all along, you can make a donation to Grateful Meadows and Poplar Spring.